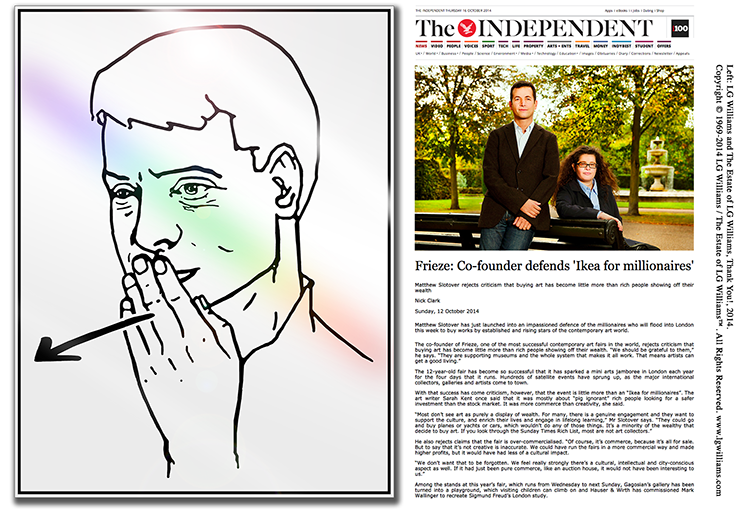 The artwork portrays the artist, who was included in the 2011 Venice Biennial Internet Pavilion, “signing,” or manually communicating, the gesture of “thanks” or “thank you” in American Sign Language. The artist is depicted with his left hand near his lips, and gesturing it forward towards the 13.8 million millionaires across the world. Imagine Williams blowing a kiss to all the millionaires across the globe, and you have an accurate grasp of the image. “There are more millionaires in the world right now than ever before. The United States has the most millionaires of any country in the world, and California has the most millionaires of any state in the nation,” said Williams, who regularly can be found at Paradise Cove, just off The Pacific Coast Highway in Malibu, California, shirtless, barefoot, wearing purple-tinted spectacles, a green LG baseball cap and orange Birdwell shorts. 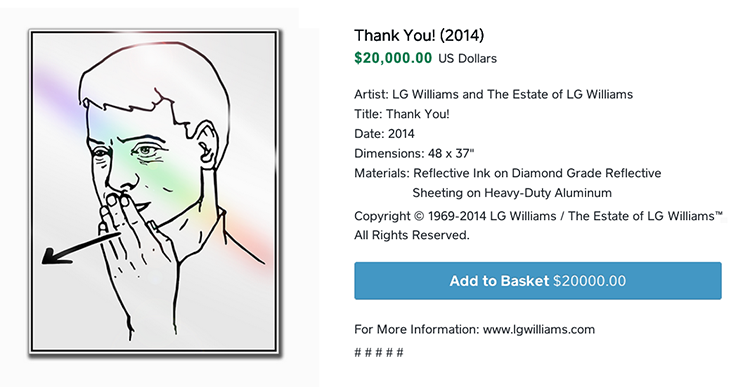 “This is my gift, my gratitude to you—all the art-collecting millionaires in the world!” Mr. Williams said. 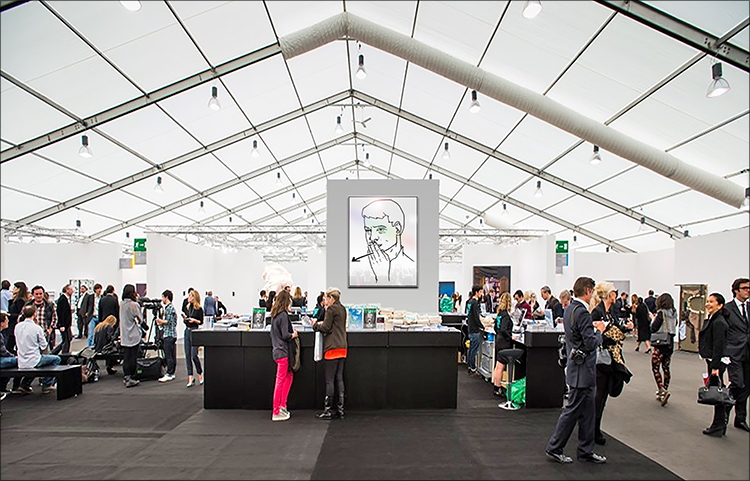 The eponymous artwork, appropriately entitled “Thank you!” will most certainly become a major art crowd-pleaser, and a permanent fixture of the international art fair circuit in the foreseeable future. “Ya know what I’m saying?”—Hickey concluded. “Hand it to Williams, this gesture will become the iconic image of the Art-Fair Age, the must-have object that will unite in solidarity every millionaire’s art collection with every other millionaire’s art collection in the world”.